Reebok Classics (UK) – direct link not available, use the Product Type dropdown for Clothing. Which shoe should Reebok retro next? Retrobok has some rather influential visitors (I know this for a fact), so we have a good platform for suggesting the next shoes to be retro’d…. DL series? The PB? Original E.R.S. such as the World Road? The legendary LX8500? Or perhaps some retro Womens shoes such as the once-popular LC3000? Something from the 70’s such as the original Aztec or Shadow? Or perhaps something more recent like the late 80’s/early 90’s such as the AXT? I’ve not yet seen a press-release to confirm the existence of this pack (or to confirm the name) but these seem new over at Sneakers76. They’re not my taste personally, but perhaps some of you will love the simple, vintage treatments on these. Another thanks to DIXY – our resident eBay researcher 😉 for spotting these, with yellow sample tags over on eBay. Close examination only reveals JUNE marked on one of the tags – and whilst the colourway isn’t really doing a lot for me personally, it’s yet another of the 20+ or so GL6000 re-issued colourways to look out for. More pictures after the jump. The Aztec is a curious shoe with an equally curious history. First seeming to appear in 1979 as a Training shoe, it appeared to share its sole tread with the Mens Shadow I, Womens Shadow III and the Midas. From a side angle I could never understand the ugly-looking angular cut from the rear sole up the heel tab ; but when you check out the sole shape, you can appreciate the design thinking: to offer an extra-stable flat platform for heelstrikes (reminding me of the Nike Air Rift for some reason). Click on for more images & jibber-jabber. Thanks to DIXY for this heads up, currently on eBAY UK is a hugely impressive pair of OG Womens GL-6000, with original box, tags, and labels – just awesome to see the original packaging included, and such detailed pics. Hit the eBay logo below to jump – 5 days remaining..
Retrobok tip – OG GL6000’s have the Goodyear imprint on the soles. As per yesterdays’ post Retrobok now has a very significant Page added: 70’s Reebok shoes (now in the Main Menu above). This era of Reeboks’ history has proven mysterious with little in the way of imagery or literature. 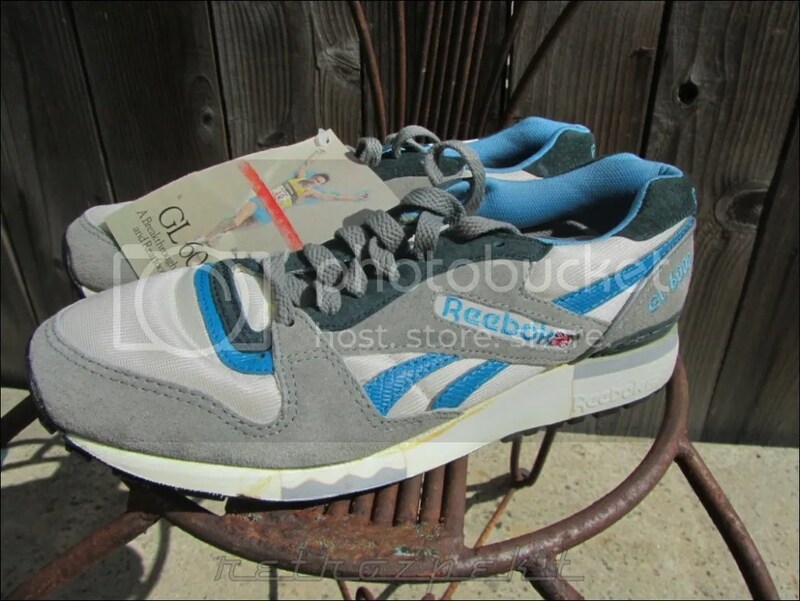 It was also before Reebok enjoyed their massive success in the 80’s courtesy of Paul Fireman in the U.S. There is more to uncover here too ; Reeboks’ official history states that Fireman sold the first Reeboks in the States at $60 (a huge amount at that time), but here we have proof of Reebok shoes at a lower price point. Were these before Firemans’ involvement, were Reeboks being sold in the U.S. before 1979, or was the $60 price spun out for P.R. benefits? And finally, there’s a previously-unseen Reebok logotype visible on some of these shoes (an R> decal) which is another surprise. All of the images for the page have been sourced from DefyNewYork – a massive thanks for permission to share these here on Retrobok. Courtesy of the DefyNewYork blog, Retrobok has discovered a staggering set of retro Reebok images and will incorporate them through the site where possible. Not only does the 90’s Wall Of Fame get a huge injection of missing shoes, but the largely unknown 70’s – 80’s period will get a significant boost, as well as a few other surprises… stay tuned! ERS 1500 – Another possible colourway, more pics. Spotted over at Sneakernews are some more pics of the (hopefully) forthcoming ERS 1500’s in 2013. The Grey/Red/Blue shown below appear additional to the previously-shown 4 colourways (check this page). Comments Off on ERS 1500 – Another possible colourway, more pics. Just spotted 3 unfamiliar GL6000 re-issue colourways and these seem to be originating from September 2012. Will update this post accordingly if/when I find any stockists for these. Looks like the GL6000 field-guide will need updating soon – be sure to check it out, if you haven’t. Got a retro Reebok collection? Retrobok would love to feature you. Comments Off on Got a retro Reebok collection? Retrobok would love to feature you. Fell Runner – inspiration for the CL Leather Trail? 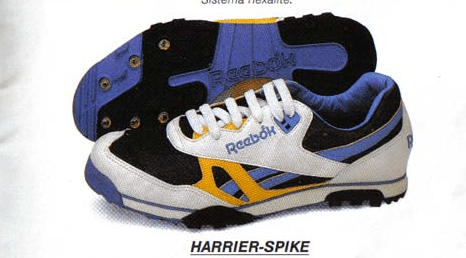 I won’t divulge full details, but I had an interesting email recently from a designer at Reebok who stated the recent CL Trails‘ soles were inspired by the Fell Runner – a shoe I’ve just added into the 80’s Wall Of Fame. I’m unsure of the Fell Runners’ exact release date (and hope somebody can confirm this) but their similiarity to the World Bests upper design suggests they appeared around 1987. Comments Off on Fell Runner – inspiration for the CL Leather Trail?